Mark Jones is 48 years old and hasn’t had a job since his twenties. A bright and capable chap, Mark previously enjoyed education and had previously studied with Learndirect to achieve maths, English and ECDL qualifications. Mark has a particular passion for English. Battling with mental health issues day-in-, day-out, Mark also has hearing difficulties and Post Traumatic Stress Disorder (PTSD). 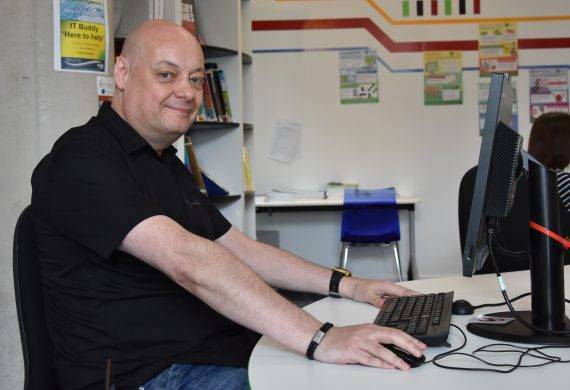 Following 20 years unemployment, Mark was referred to the Building Better Opportunities Stafford and South Staffordshire programme by his local Job Centre. To find out more about Building Better Opportunities Stafford and South Staffordshire call us on 01902 696 228, email hello@bbostaffs.org or complete the green form below.